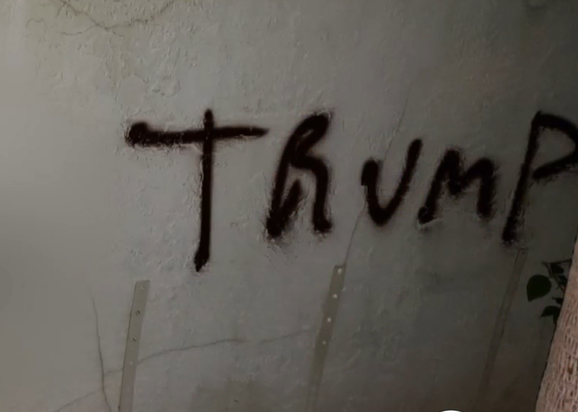 Deputies are looking for leads after a Lake Worth family's home is vandalized with an anti-Trump message. 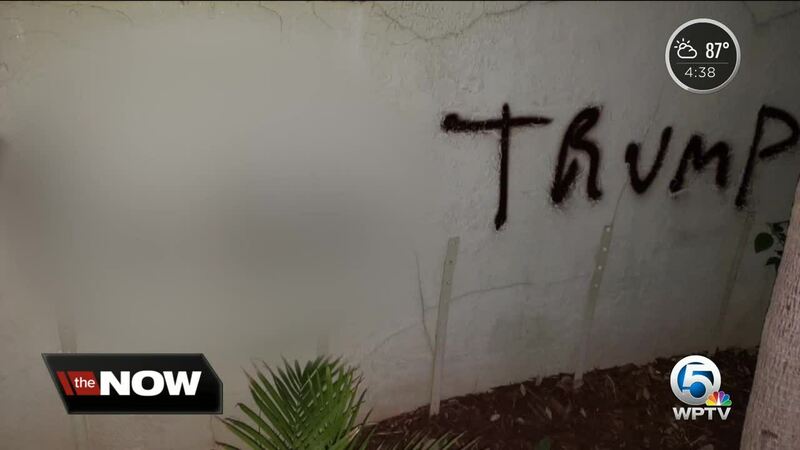 A Lake Worth family’s home was defaced and targeted on the night of the Florida primary because of their politics, and now they worry what might happen next. Jeanne and Michael Carroll came home Tuesday night to find profanity and an anti-Trump message spray-painted on their home. “We should have freedom of speech, freedom to do whatever we want on our own property,” said Jeanne Carroll, who believes her home was targeted because of the Trump flag flying outside. In the 400 block of S K Street in Lake Worth, pride of country is on full display with American flags flapping in the wind. But the Carroll’s home is the only one with a Trump flag. It's been outside for about eight months without any problems, until Tuesday night. "I feel extremely violated," Carroll said. The Carrolls went out to dinner Tuesday, and when they came home they found the words "F*** Trump" spray-painted underneath their front window near the flag. "I just don't understand why anyone would take the chance of endangering themselves and coming onto someone else's property just because of a political flag," she said. Less than 24 hours later, Michael Carroll's car was also spray painted. It was tagged with the same anti-Trump message and the letter X. "People are so just on opposite sides and it's so divided," neighbor PJ Mahoney said. Mahoney has a sign on her fence supporting a Republican for Governor, and she is thankful no one saw a Trump sign hanging on her house. She feels no one should destroy someone's property, no matter what political party you support. "I think people are very selfish and self-centered that if they don't agree with it they think they have the right to do something about it," Mahoney said. That is what now scares Carroll. She fears with the state of politics in the country, things could escalate. "What really frightens me is, if they're that bold enough to do something like this, what else is coming in the future?" she said. The couple filed a report with the Palm Beach County Sheriff's Office, but there are no leads. There are security cameras around the house, but they did not catch the culprits. Jeannie said she is standing firm and will not be bullied. She plans to continue to fly the Trump flag but also plans to install more security cameras to better protect her property.